We installed the double din unit seamlessly into the vehicle and ensured that the steering wheel controls were integrated for ease of use. The customer can now make handsfree calls, listen to their multimedia (music/podcasts/audiobooks), read text messages and use maps as their navigation system. Not only is it a delight to use, but with our seamless integration into the dashboard, it looks great. 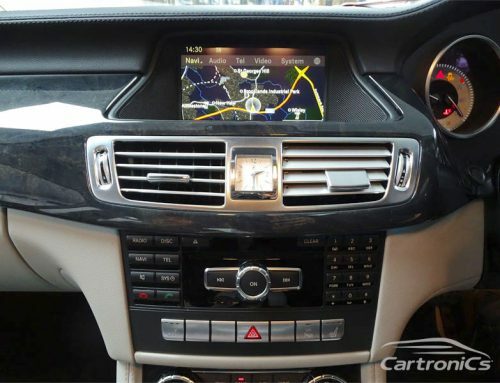 So, if you’re looking for a Mercedes S320 radio navigation upgrade or are wanting to connect your mobile phone with your car, Cartronics has you covered. Note: You can also connect your Android phone (Samsung) with Auto Android in your Mercedes.